He's returned for a fortune and is confronted by memories. Though tycoon JT Hartley is a success in his own right, he's set on claiming his share of his late father's legacy. 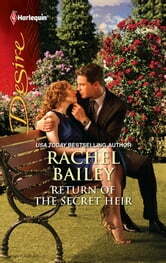 But first he has to get past the estate executor-none other than Pia Baxter, a woman he's never forgotten.